With the rise of bots, people can create new tools to help make people’s lives easier. In the first part of this bot series, we discussed how to make a Facebook Messenger bot using Python, Flask, and Ngrok. However, for a bot in production, having all the requests processed on your personal computer won’t work well. That’s where a hosting service like Heroku can come in. Services like Heroku’s allow you to host your program on their servers making it available for people to access 24/7. In this guide, we will talk about how to migrate a Facebook Messenger bot from being run on Ngrok to Heroku. For the purposes of this guide, we’ll use Heroku’s free hobby tier. Get started with Heroku by first making an account. Once you’ve verified your email address, log into the Heroku dashboard and make a new app. 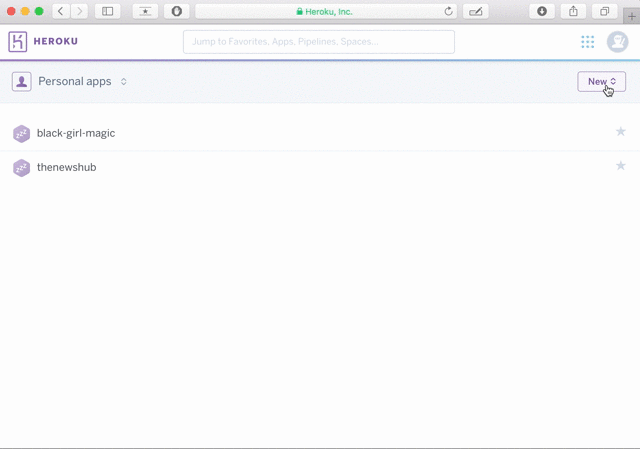 You can enter your own App Name or leave it blank and have Heroku randomly assign one to your app. In either case, the app name also represents the subdomain that you can use to access your app once it is deployed to Heroku’s servers. For example, if you name your app blackgirlmagic, once deployed, you can access your creation at blackgirlmagic.herokuapp.com. In order to deploy a Flask app on Heroku, there are three specific files we need to include: a requirements.txt, a Procfile, and a runtime.txt. For this guide, we’ll use the code for Black Girl Magic Bot, which can be found here. For our Procfile, we need to tell Heroku what to do in order to run the program. Be sure the file is just titled Procfile (it should have no file extension) and drop in this bit of configuration. If you’re interested in learning more about how these files work, visit Heroku’s guide on them. to tell Heroku that it should use this version of Python when compiling and running the code. Next, we want to put our code under version control, a way to save each iteration of edits to our files (called a commit). To do this, we will commit our code to GitHub. You can make a GitHub account here and learn how to commit your code to GitHub here. For the purposes of this article, we will be working to deploy the Black Girl Magic bot. The code for it can be found via this link and you can use this guide to learn how to clone it. Once you’ve cloned it, go to the Heroku deploy tab and connect your app to your GitHub repository so that Heroku will be able to pull and deploy your desired code. You will need to grant Heroku access to your Github account so that you can search all of your repositories. After connecting your account, search for your repository’s name and then click the “Connect” button to connect it to your Heroku app. Optional: If you want Heroku to automatically deploy updates to your bot when you make a commit to your GitHub repo, make sure to click the “Enable Automatic Deploys” button. Now that we have connected our GitHub repository to your Heroku app, we need to deploy it. 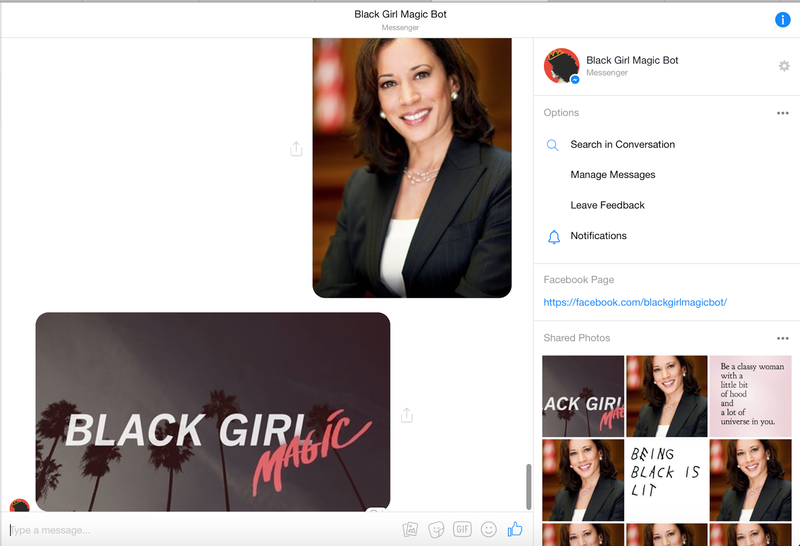 If you are following this article using the Black Girl Magic bot, you will need to make sure to replace the ACCESS_TOKEN and VERIFY_TOKEN placeholders with actual codes. For information on how to access these codes, see the “Make your Bot on Facebook” section on my earlier blog post about bots. However, just leaving these tokens in your repo is bad practice and makes it easy for people to use your tokens for their own purposes. Thankfully, Heroku can help with this by allowing you to use config variables which allow you to securely keep the codes on Heroku and not in your code. Now that we have added these tokens using config variables, click the “Deploy Branch” button at the bottom of the page. Heroku will deploy your code and your site will start running publicly. To track the general status of your application and how it’s processing requests, one can use the Heroku CLI or visit the logs online by clicking the “View logs” tab at the top of the deploy page. If you have not built the bot discussed in the earlier post, read the last section about verify tokens and Facebook’s general API around bots. In order to make a Messenger Bot, you need to provide Facebook with an endpoint to send all messages to as well as a verification token so your site only processes requests sent by Facebook. When you go directly to the link created by Heroku, you’re not providing the verification token, hence you see the “Invalid verification token” screen. 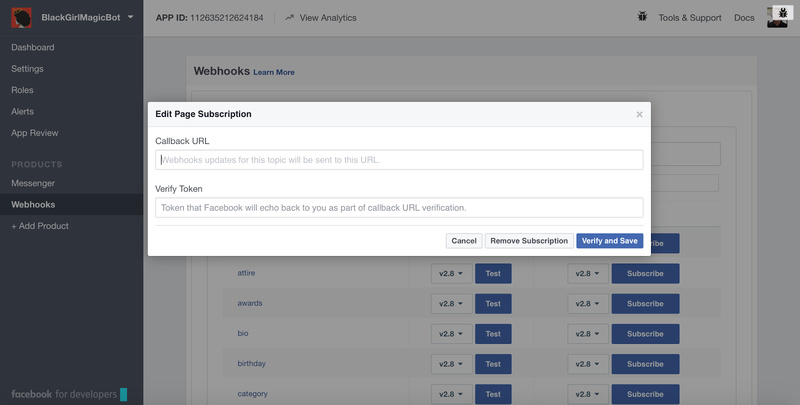 To set up our Messenger bot to communicate with our Heroku app, we need to visit the Facebook for Developers page for our application and revisit the Webhooks tab. Click “Edit Subscriptions” and change the Callback URL to https://www. [yourappname].herokuapp.com and update the verify token. We’re almost done with the steps needed in order to host our bot on Heroku. All that’s left is to test that our bot is working as expected. Go to the Facebook page you made for your bot and send it a message to verify that it still works. Woo! You’ve gone from making your first Facebook Messenger bot to hosting it on Heroku. As seen above, now your bot can handle multiple messages from users 24/7 now that it is no longer hosted locally on your computer. With all of this done, you can finish the Facebook Messenger approval process and get your bot approved to send messages to all users. I hope you’ve enjoyed learning how to make and host a Messenger bot in Python. If you enjoyed this post, you can follow me on GitHub @wessilfie.